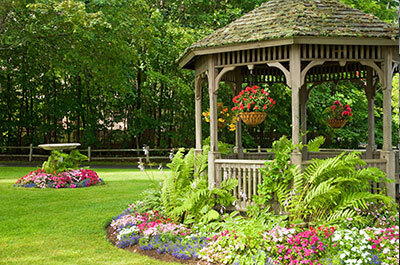 If you have a landscape that’s less than ideal, we’ll make it picturesque. Here at JRP Services, we’re landscaping experts, and we specialize in demolition, tree removal, excavation, and, of course, site preparation services. We offer site prep services for folks throughout Houston and the surrounding area. Let’s take a moment to talk about why we prepare landscapes, what we do on a site prep job, and how we do it. During the pre-construction phase of a build, it’s often necessary to level the site to prepare the soil for building. Site preparation may be necessary if the ground is uneven, if erosion is expected, or if there are obstructions on the site. Often, new build sites are packed with obstructions. A property may be covered with trees and flora, boulders, or even concrete from a previous edifice. Sites may also have poorly sloped terrain or terrain that is unsuitable for building. In the instances mentioned above, we’ll remove obstructions and level your terrain to prepare your build site. If, for instance, you have a large tree on site, we can cut down the tree and remove the stump to remove the obstacle and to prepare flat terrain. Depending on the job, we may use any number of tools to level your site. As we just mentioned, you may need to have a tree or trees removed from your property. In this instance, we may use chainsaws, climbing gear, and a stump grinder to pull the tree down. If, on the other hand, you just have a site that’s far from level, we’ll bring in excavating equipment to turn your undulating site into a tabula rasa (or blank slate). From there, you’ll be able to build as you’d like. We also take zoning ordinances and codes into consideration when preparing a site. There are laws that regulate vegetation removal, surface stabilization, and other considerations when leveling a site. We know the law, and we’ll do our utmost to work within these constraints to prepare a safe site for buildings and landscaping. We’ll also work with you and government entities to attain permits necessary to perform a site prep. It may also be necessary to install protection for vegetation, access points (including roads and parking lots), erosion traps, runoff control areas, and other building construction precautions in the landscape. Fortunately, when it comes to site preparation, we can do it all. If you’re ready to turn your site from an overgrown, dilapidated mess to a fully prepared property, we can help. Once again, here at JRP Services, we specialize in demolition, tree removal, excavation, as well as site preparation services throughout Houston. If you’re ready to get started, don’t hesitate to get a free estimate from us today! Also, feel free to learn more about our lot clearing and grading services as well as our demolition services and tree removal services!